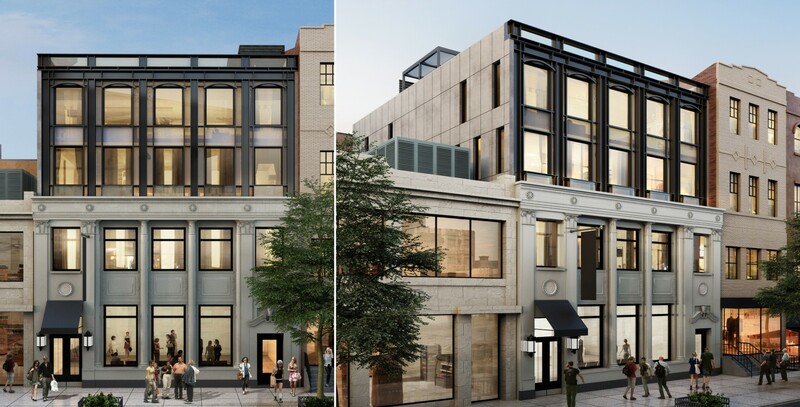 Located in the heart of Brooklyn Heights’ high-end retail corridor stands the unique landmarked exterior that is 135 Montague Street. For this two-story structure, Marin Architects designed and developed an additional two-story vertical enlargement. 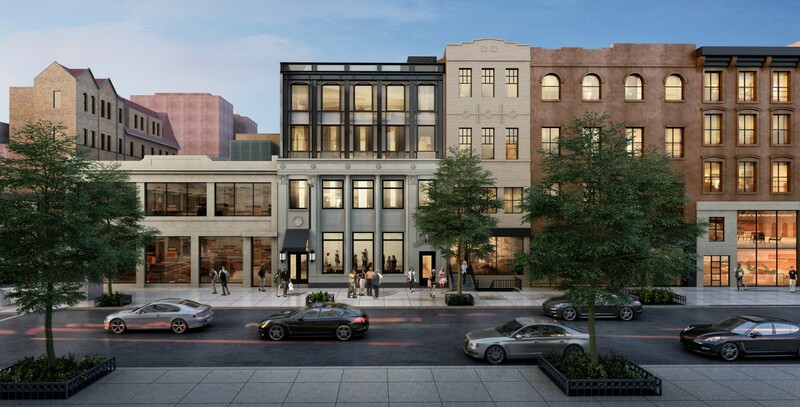 The new expansion and the second floor will feature multi-family residences with outdoor terraces, and the ground floor will be used as retail space. 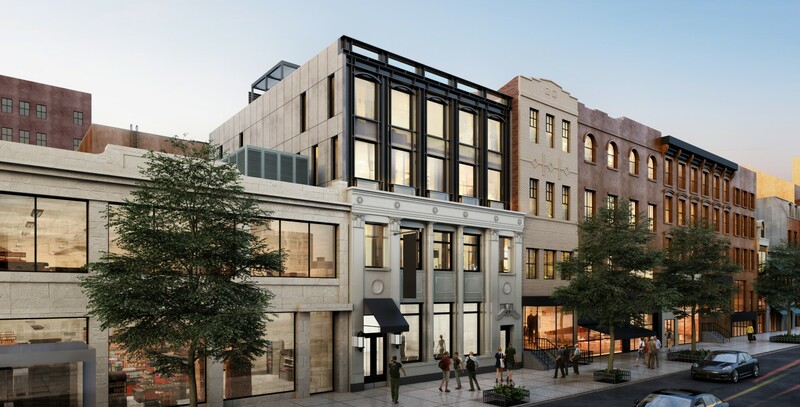 With an all-brick interior, these new apartments reflect a modernized, industrial aesthetic, whilst maintaining the integrity of its historical 1920s exterior. 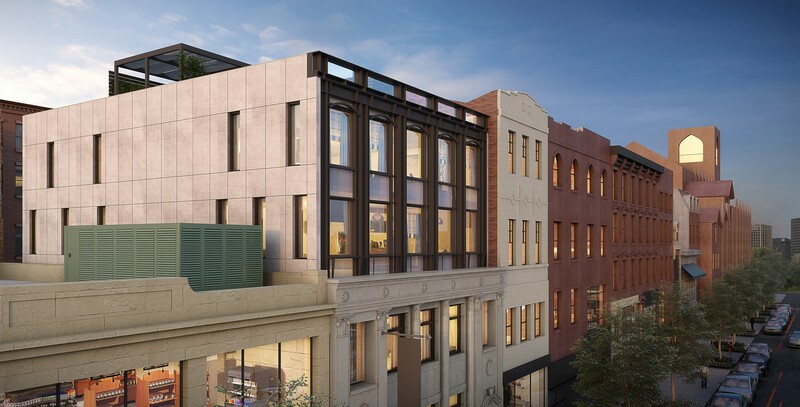 Following this expansion, Marin is designing and developing construction documentation reflecting the client’s requirements for a City MD space, an urgent care medical clinic to be located on the ground floor. The construction process initially consisted of interior demolition of finishes, ceiling and floors. Following the demolition, the interior renovation consisted of replacing interior gypsum partitions, doors, ceiling, floor finish, mechanical ductwork and the relocation of the staircase and railing. The next phase for construction is the proposed two-story vertical enlargement, in which new partitions, doors, ceiling, floors, stairs, elevator shaft opening, air conditioning units, related ductwork and new plumbing fixtures will be installed. 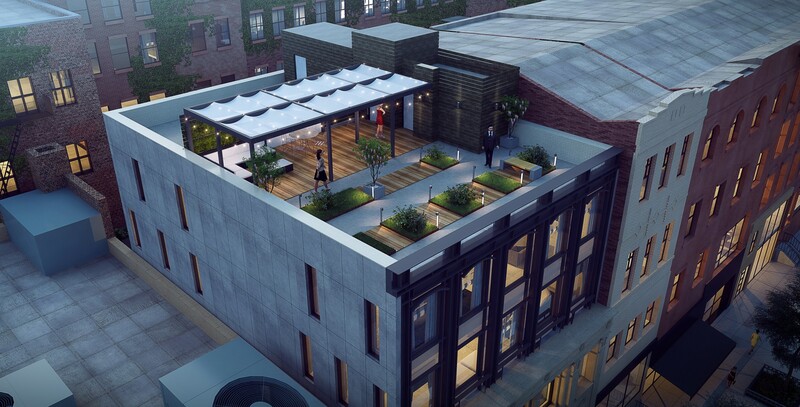 Following that phase will be the construction of a recreational area on the roof for tenants to enjoy.